» Angel and Tulane RiveraTag Archive for angel-and-tulane-rivera archive at Ritmo Bello – San Diego Salsa Dancing - A San Diego, California guide to salsa, merengue, cha cha cha, samba, tango, and all other forms of Latin dance! 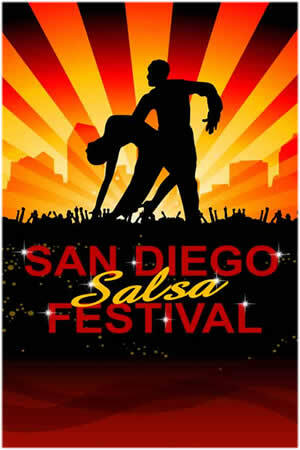 It’s hard to believe that 12 years have passed since San Diego’s first Salsa festival. In these last 12 years the festival has transformed from a small regional event to one that attracts attendees from all over the world. The festival runs from August 30th to September 2nd and the organizers are in the process of updating the schedule of events now. 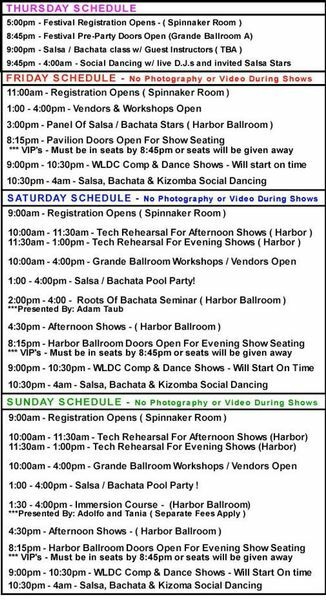 You can follow along on RitmoBello.com with any updates as they come out and you can check it out for yourself at the official San Diego Salsa & Bachata Festival website. 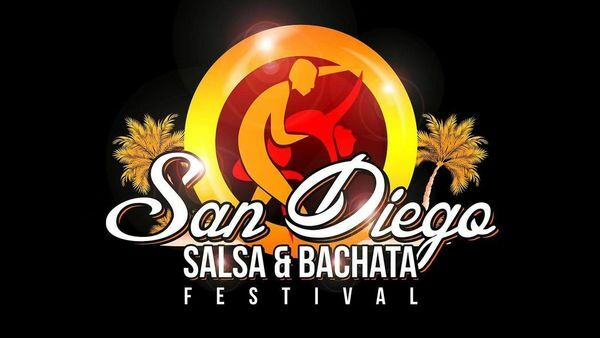 See you all at the upcoming 12th Annual San Diego Salsa & Bachata Festival! 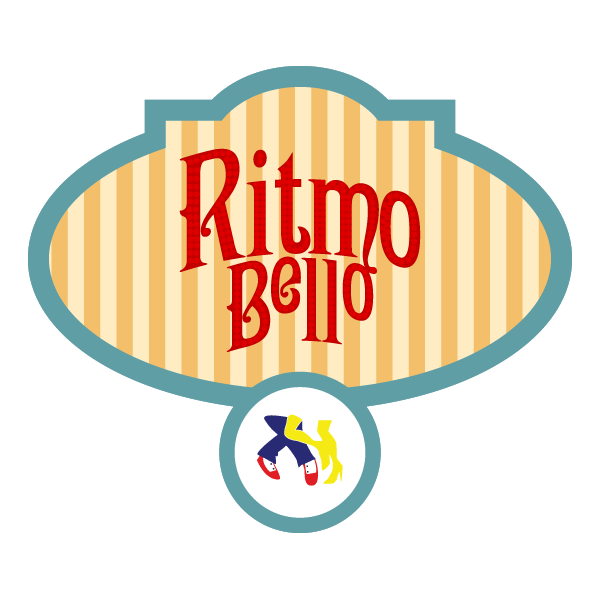 Ritmo Bello on Facebook |Help Support San Diego Dancing! We are less than a few weeks away from the upcoming San Diego Salsa Bachata Kizomba Festival and more information is now available for the event. Below is an updated schedule of events that you can refer to throughout the event. Don’t forget that the entire event is full of dance workshops, lessons, performances by some of the most gifted dancers in the world and of course great social dancing available for you to take part in. 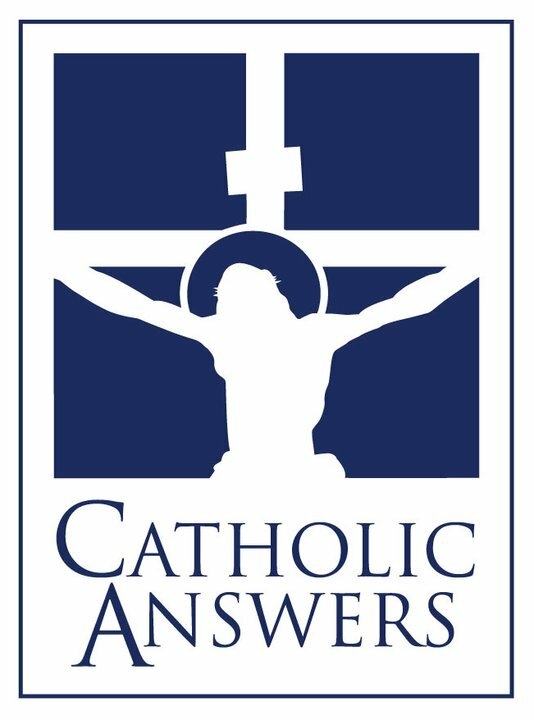 If you don’t have your tickets yet there is still time to purchase yours today. 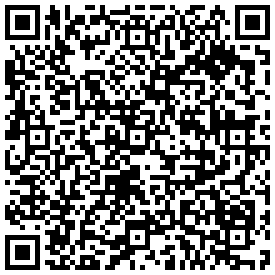 Please visit the official San Diego Salsa Bachata Kizomba Festival website for more details. 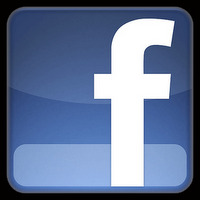 Thanks and see you all at the 8th Annual San Diego Salsa Bachata Kizomba Festival! 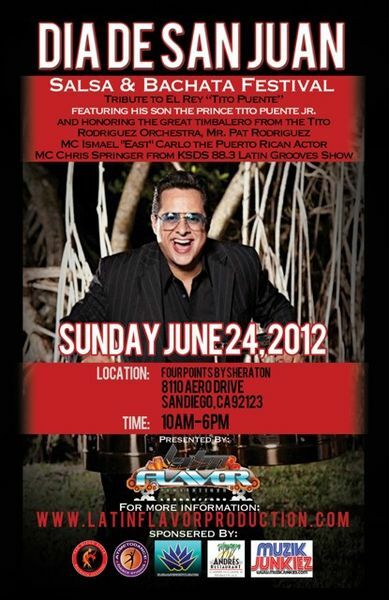 This year we are fortunate to have none other than Tito Puente Jr. performing live at the event. A Tribute to El Rey Tito Puente Featuring his son and Honoring the great Timbalero from the Tito Rodriguez Orchestra, Mr. Pat Rodriguez will be some of the highlights this year. Presented by Tommy Rosas’ Latin Flavor Productions, the event will be hosted by Chris Springer of Jazz 88.3 fame. There will be a salsa and bachata emphasis with 2 stages of great music for all those interested in celebrating the holiday. For more information and to find out how to purchase tickets please visit the event page on the San Diego Salsa and Latin Dancing Meetup Group (click here). See you all at San Diego’s Dia de San Juan Salsa and Bachata Festival! America’s largest Latin party cruise is back for 2012! 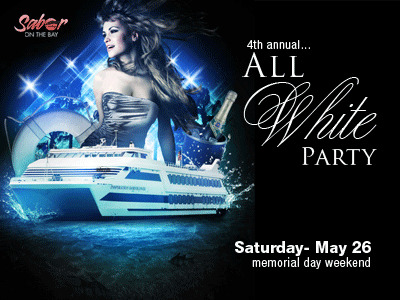 The first of a series of upcoming yacht parties is scheduled for Memorial Day and tickets will be going on sale soon. As we have seen the past, these events always sell out and its not hard to understand why. Don’t forget that this event is a dress in all white theme so don’t be the only one who forgot to wear their white this night! 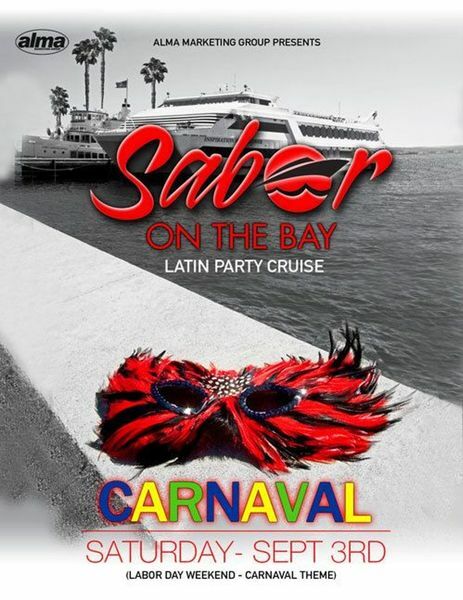 You can find out more information about the Sabor on the Bay Yacht party on the event page for the San Diego Salsa and Latin Dancing Meetup Group. 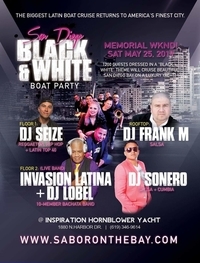 Thanks and see you all on Memorial Day Weekend at the Sabor on the Bay Yacht Party! 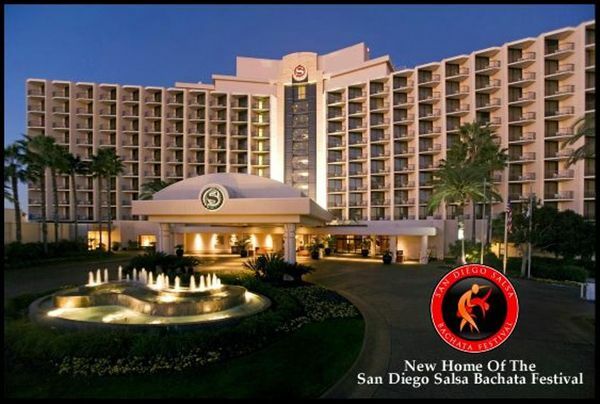 The San Diego Salsa Bachata Festival has found a new home at the Sheraton San Diego Hotel & Marina. Located on San Diego bay, the venue will allow dancers visiting San Diego the opportunity to not just have spectacular panoramic views of the San Diego skyline but easy access to the airport and many San Diego attractions such as Balboa Park. Although the event is a year away, it is not too early to save money and get your VIP all access passes before the prices go up. You can find out more information about the San Diego Salsa Bachata Festival and the new venue on the official website for the event. See you all on the dance floor! Don’t forget that there will be workshops ongoing throughout the event with some of salsa dancing’s finest giving instruction. Keep your eyes on RitmoBello.com and the San Diego Salsa and Latin Dancing Meetup Group for more updates on San Diego’s biggest salsa bachata event of the year! The night will feature RUMBANKETE, The newly formed 11 member Salsa band from Los Angeles who will be playing music inspired from the Caribbean islands of Cuba & Puerto Rico. Chris Springer will be the host of the night (you can learn more about him in this recent RitmoBello.com Interview) and of course there will be plenty of Brazilian dancers and music to match the overall theme of the party. This event will sell out so make sure you get your tickets early! You can find out more information about the event on the RSVP page for the San Diego Salsa and Latin Dancing Meetup group (click here). We will have a special VIP table set out for members so make sure to join the group and come meet new people at our table. See you all at the Sabor on the Bay Yacht Party September 3rd!